Quartzite is a metamorphic, or changed, rock. Changes in rocks are a slow process resulting in an altered appearance and form as a result of different conditions. Temperature, pressure and chemically changed environments are the usual catalysts of change in metamorphic rock. Quartzite is originally sandstone that undergoes metamorphism via intense heat and pressure. The quartz grains are highly compacted resulting in a dense rock. Quartzite has a high degree of quartz -- 90 percent or more -- and is the most concentrated, purest form of silica found on Earth. They tend to form when continents collide with each other to create mountains. 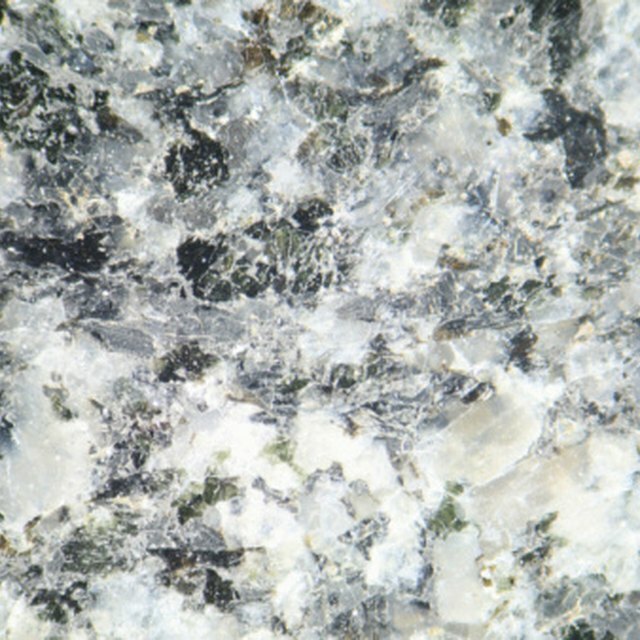 Quartzite is usually snowy white and occasionally pink or gray. Dark colors are rare. The structure is smooth and hard-wearing with a granular appearance and tends to be seen in hill or mountain ranges, or on rocky coastlines. They have a glassy luster due to the quartz content. Quartzite is used for making bricks and other strong building materials. It is also growing in popularity as a decorative stone and has a limited use as crushed stone. As it is so hard, quartzite is not quarried as much as softer stone and tends to be taken from the surface rather than underground. Less than 6 percent of all crushed stone produced in the United States is quartzite. Chrissie Mayes began her career as a freelance writer in 2010. She has also been working in the equestrian field since 1986 as a teacher, trainer, assessor and verifier and has written and designed course material and training. She is pursuing a master's degree in equine science at Aberystwyth University. Mayes, Chrissie. "Interesting Facts About Quartzite." Sciencing, https://sciencing.com/interesting-quartzite-7320506.html. 24 April 2017.